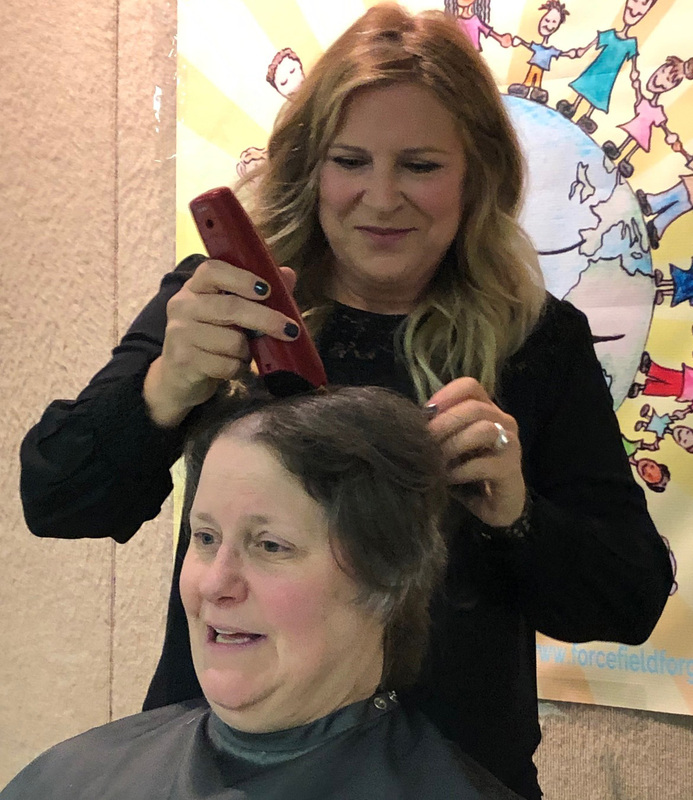 When Crissman Elementary teacher Jeanne Ziraldo learned how much students raised for charity, she lost her top - literally. 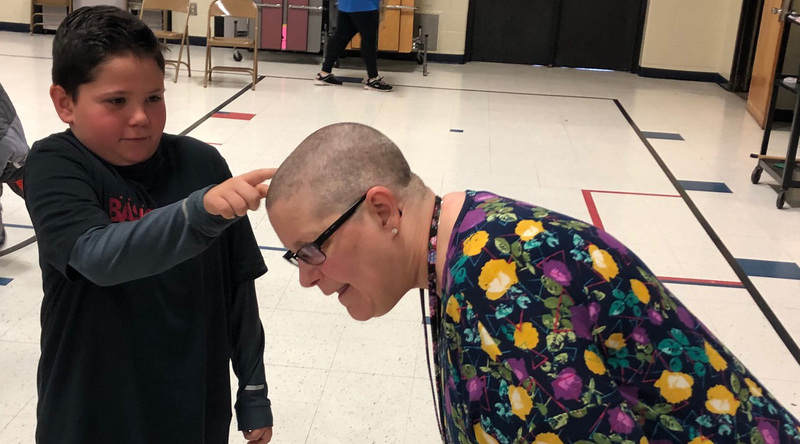 Ziraldo recently had her hair shaved off in honor of the $2,750 students raised for the Children’s Hospital Foundation of Michigan. This is the first time that Ziraldo has shaved her head to support a cancer fundraiser. For Ziraldo, the success of the fundraiser is personal. She is a seven-year cancer survivor and her daughter, Dr. Jessica Zavadil MD – a 2006 Utica Community Schools graduate - is a pediatric resident at a Children’s Hospital in Missouri. “I understand how difficult this diagnosis is for a family,” she said. 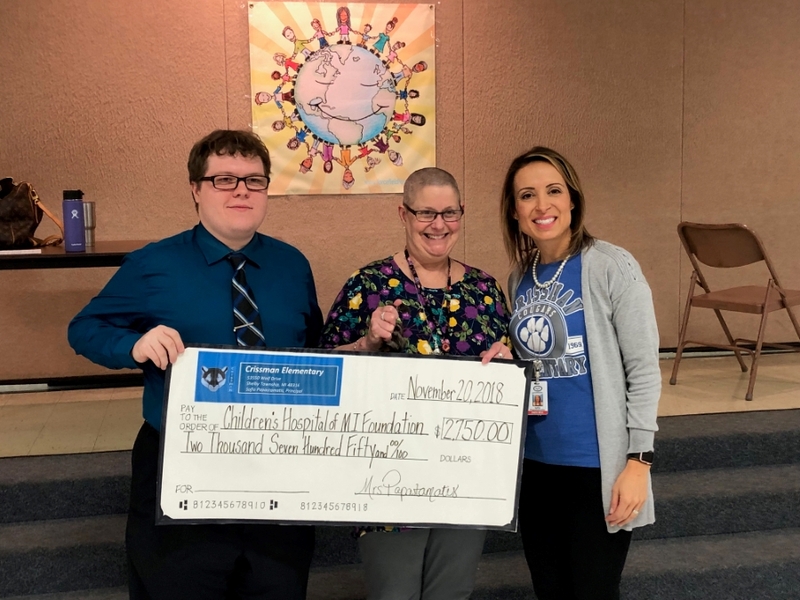 The Crissman Learning Center teacher kept her promise to students in front of the entire school at a special assembly where the check was presented to the Children’s Hospital of Michigan Foundation. The haircutting services were donated by Mrs. Judy Panetta, owner of Flaunt Salon in Utica, MI, who has two children at Crissman. Crissman students raised the funds through different activities, as part of a special Spirit Week. Ziraldo also received donations from her family and friends. The funds will be used by the Child Life program to purchase crafts, put on special activities or support a special ice cream party for the children with cancer and their families at the hospital. Ziraldo told students at the Crissman Assembly that she will bring back photos of the difference their charity has made for children at the hospital.